A few of you are probably aware that I'm quite the tea-drinker, so I can't help being drawn towards tea-related gifts even if I have no one to gift them to. A lot of it is just interest, though. I mean, tea is tea, right? What can you really do to make it gift-worthy without it being something rare or luxurious? 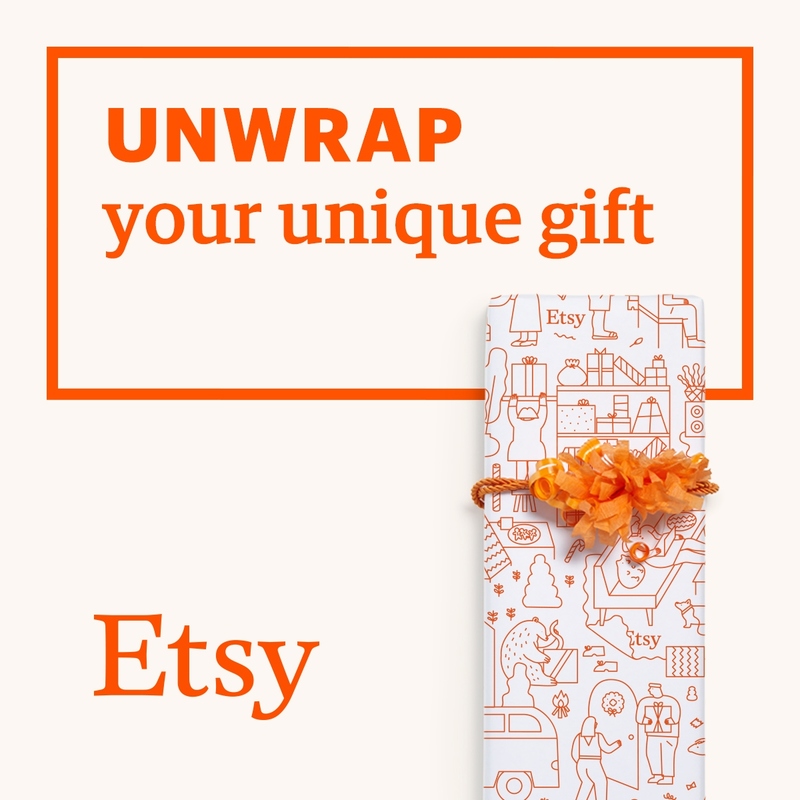 And it's this interest that prompted me to put together this gift guide. I promise. Twinings Teashop was my first stop. I get most of my tea from Twinings, I love their selection and it's affordable so I can drink it to my heart's content, and every year they bring out these wonderful gift sets that are surprisingly affordable. Some consist of just a selection of tea, others one or two boxes of tea or a single pouch of tea with a mug, and others are tea and chocolate or biscuits. Naturally, their Christmas Chocolate Tea Treats gift set caught my eye the most. Lily O'Brien's salted caramels, Cartwright & Butler butterscotch crunch biscuits, some deliciously festive loose tea in a Christmas caddy and a tea strainer to top it off. I usually prefer gift sets with mugs, but this one is at the top of my list this year! 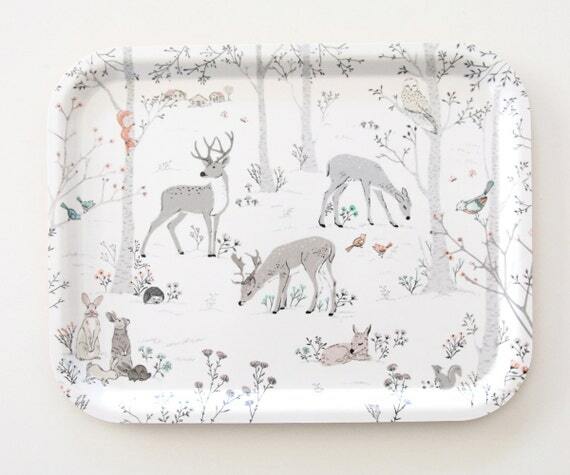 A lovely tea tray for when friends come over for a cuppa and a catch-up is a lovely idea for a tea drinker, and this birch woodland tea tray by Micush caught my eye immediately while browsing on Etsy earlier this month. It's so muted but busy at the same time, it's a curiously successful combination of the two and I just love it! Oh, Christmas tea and spiced biscuits, a small but simple afternoon snack to hold you over until dinner. 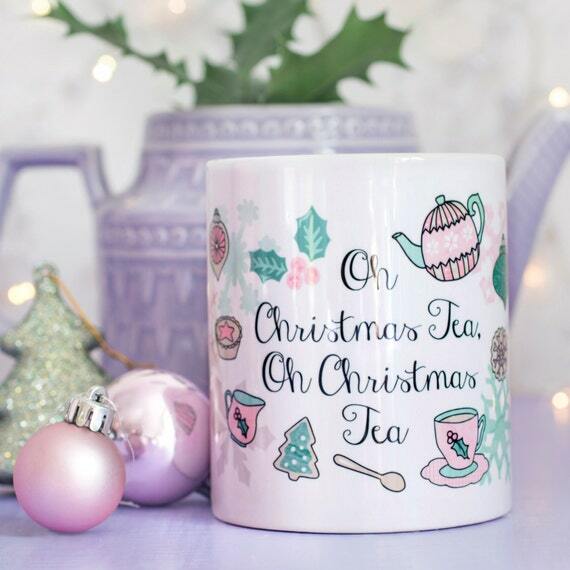 And what better than this 'Oh Christmas Tea, Oh Christmas Tea' mug by JillyJilly Designs? An early gift for the run-up to Christmas day, and I love the cool but comforting pink and mint colour combination! How about a bespoke brownies and tea gift box by The Sweet Reason Company? Delicious brownies, tea to accompany and complement the taste, and some sugar swizzle sticks! Available as a box of 2 or a box of 4 as shown, and you can choose from seven different brownies and five teas - and if you need a gluten-free option for those poor Coeliac's sufferers, it can be done for just £1 more. A wonderful gift for people who like to pair their tea and their cakes. Those of you who know me even a little know I am a giant nerd and a cookie monster, but as I'm also a fitness nut I don't indulge in biscuits with my tea very often. I keep it infrequent and preferrably for days when I'm feeling stressed out, out of energy or, alternatively, I feel extra good. I usually opt for nutritious biscuits with oats and minimal sugar if I can help it, but I do love pretty much anything from Cartwright & Butler. Their biscuits are amazing with tea, but they're also great biscuits on their own. You'd be surprised how few biscuits are actually like that. A biscuit is not just a biscuit, after all! Tea caddies are wonderful - refillable, reusable and generally quite pretty, this festive snowflake elephant tea caddy filled with earl grey by Williamson Tea is a wonderful gift - and with the added bonus of £1 from each tin sold donated to Walking With The Wounded to retrain wounded servicemen and women. But if this one doesn't take your fancy, there are 14 other elephant designs with other teas, too! There is something for everyone. Or perhaps you're after something a little more unusual for the tea drinker - monkey-picked tea, perhaps? Now, this isn't like the coffee 'picked' by monkeys where the beans are actually taken from their poop, this is tea that is actually gathered by monkeys who are trained to pick rare wild tea leaves from the hardest to reach places like cliff faces. The monkeys are well-cared for and are famous in China, there's no cruelty involved, which is a big issue for some - myself included - so there's no guilt in buying the product! I know I would love to try some of this super special tea *hint hint*.